How many billionaires would it take to save the planet? 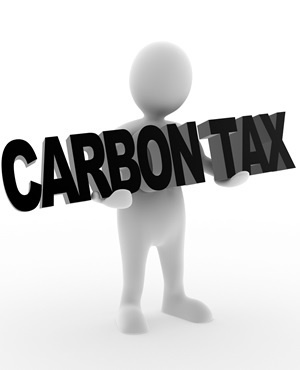 Johannesburg - A second draft of the Carbon Tax Bill has pushed out the actual imposition of the new tax and significantly reduced the tax burden in real terms. The new draft was released in mid-December and mostly retains the design of the first version, published in 2015 – but comes with several technical tweaks. The date that South Africa starts the so-called second phase of carbon taxation has been moved from 2020 to 2022 to reflect the two years that have passed between the drafts. The new bill still sets the tax at R120 per ton of carbon dioxide – and still provides allowances which, in effect, pit the tax at R48 a ton at most, and at R6 a ton at least. A combination of inflation and revisions has resulted in a carbon tax that will be far lower than initially planned when a carbon tax policy was first published in 2013. At that time, the tax was to be R120 a ton effective 2015, escalating by 10% a year to reach R193 a ton by 2020. The new bill says the R120 will increase by inflation plus two percentage points until 2022, which is then likely to be about 7%. That would mean a carbon tax rate of R137 a ton in 2020 – if the tax is, in fact, being levied by then. Treasury still promises to make the carbon tax “neutral”, insofar as the electricity price is concerned, for the first five years. This is to be achieved by decreasing existing levies on electricity in tandem with the imposition of the carbon tax. Izak Swart, a director at Deloitte, said the new bill incorporated necessary technical improvements, including more comprehensive lists of “emission factors” – the multiplier that allows a company to calculate its emissions for the purpose of the tax. South Africa’s climate change commitments are progressing on other fronts. A national system of carbon reporting comes into operation this year, with large emitters being required to submit estimates of their 2017 emissions to the department of environmental affairs by the end of March. This will provide the best overview to date of the state of South African greenhouse gas emissions, which ultimately lead to global warming. The most comprehensive estimates for the country are already almost a decade old and are based less on actual measurement than the new numbers will be. This process will probably contribute to a host of new comment on the Carbon Tax Bill, said Swart. The largest emitters in South Africa will have very accurate numbers already, but many local companies probably do not understand their emissions very well, added Swart. The big numbers will, however, come from Eskom, which is responsible for most South African emissions, as well as from major steel, oil and chemical companies.